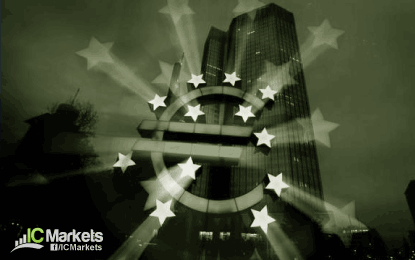 EUR/USD fell briefly below 1.05 in the APAC session amid steady supply from leveraged names and momentum funds. The next support levels to keep an eye on are 1.04, 1.0333 (January 2003 low) and then 1.0204 (July 2002 high). It is difficult to sell the EUR after it has already fallen that much, but trying to catch a bottom doesn't make much sense either as the EUR/USD continues to be in a free fall. GBP/USD closed the day below 1.50 and a test of the 2013 low at 1.48 is just a matter of time. The GBP weakness helped to lift EUR/GBP off the 0.7010 level, but the bounce has been rather weak and it seems very likely we’ll see the pair trading with a 0.69 handle soon. Meanwhile, USD/JPY has been unusually quiet. The pair briefly traded above 121.60 in Asia, but failed to sustain momentum and fell back to 121.40. Overall, flows are mixed according to dealers and traders seem focused on the other major currency pairs. NZD was the best performing currency overnight after the RBNZ was less dovish than expected in their statement. While they included the usual statement about the NZD being overvalued, they were quite upbeat on the economy and rate stability seems likely in the near-term. NZD/USD rallied from 0.7180 to a high of 0.7330 and AUD/NZD dropped back below sub-1.04. Key support seen in the 1.0300-20 area.